The following is a guest post by Dr. George Grant. The great Scottish pastor, social reformer, educator, author, and scientist Thomas Chalmers was born on March 17, 1780 at Anstruther on the Fife coast. His father was a prosperous businessman in the town and Thomas grew up as the sixth in a large family of fourteen children—he had eight brothers and five sisters. Showing early signs of prodigy, at the age of three, he went to the local parish school to learn the classical trivium of grammar, logic, and rhetoric in English, Latin, Greek, and Hebrew. His parents were people of strong Calvinist conviction and keen that their family should grow up to bear witness to a lively and relevant Christianity. Piety and intellectual rigor marked their daily lives. Before he was twelve, he had sufficiently mastered language, literary, and philosophical skills that he was recommended to advance his studies at the University of St Andrews. His brother, William, who was just thirteen, accompanied him. 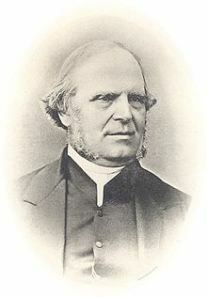 At the time, Thomas was the second-youngest student at St Andrews and widely recognized as a student with extraordinary promise. Although a great part of his time in the first two sessions at the university were apparently occupied in boyish amusements, such as golf, soccer, and hand-ball—in which he was remarkably expert, owing to his being left-handed—he had already begun to demonstrate the great intellectual power which was to be one of his chief characteristics throughout adult life. For mathematics he developed special enthusiasm and to its study he gave himself with great energy and dedication. Ethics and politics were also themes of special interest to him as he sought to integrate his life and faith with the evident woes of the world around him. I recently gave a lecture (sermon?) on the fascinating and inspiring story of Thomas Chalmers’ West Port Experiment in the slums of Industrial Edinburgh, from 1844-1847. You can listen to it here. Ad urbem! Sadly, it’s out of print. But there appear to be several used copies on Amazon, and you can access it on GoogleBooks. 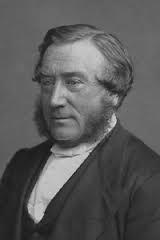 Here’s a really helpful introduction to Thomas Guthrie (1803-1873), a prominent minister in the Church of Scotland and later Free Church of Scotland and a champion of biblically sound poor relief. The following is a firsthand snapshot of a Highland Communion season, from John Kennedy’s endearing work, The Days of the Fathers in Ross-Shire (1867). Here is certainly an alternate ‘high sacramentarianism.’ I would challenge the supporters of the now fashionable weekly-communion position whether this ‘auld’ wine was not the better! A communion season is approaching. It has been timeously announced that it may be known ” far and wide,” and that the praying people may be bearing it on their spirits before the throne of grace. The minister preaches a suitable course of sermons on several preceding Sabbaths. The Lord’s people are stirred up to seek a special manifestation of His power and glory. A few who propose to seek admission to the Lord’s table are deeply exercised about the solemn step they contemplate, and faithfully and tenderly are they dealt with by both minister and elders. As the appointed time draws nigh, special meetings for prayer are held, and, with holy solicitude, all the preparatory arrangements are made. The Fast-day is come. Eminent ministers have arrived to take part in the solemn services. Many of the Lord’s people are gathering. From as many as forty parishes they come; but lodgings they will easily procure, as the parish people are striving for the pleasure of entertaining them. Suitable discourses are preached in Gaelic on the open field, and to a small English congregation in the church, and in the evening prayer meetings are held in the various districts of the parish. On Friday the day of self-examination, the only public service is in the open air. A large crowd is gathered. “In the tent” there are several godly ministers. The service is that of a fellowship meeting, such as has already been described, but now with special reference to the solemn duties of a communion Sabbath. There are two questions proposed successively to secure variety. Strangers only are called to speak, and even of these only “the flower,” for there are so many. Not fewer than thirty will have spoken before the service is over. Blessed indeed to many souls have these “Friday meetings” been. The services on Saturday, the day of preparation, are conducted as on Thursday, but, owing to the gathering influx of strangers, the congregation outside is greatly larger than on the Fast-Day. At the close of the service, tokens are distributed. Prayer meetings are held throughout the parish in the evening; and while the ministers are preparing for the solemn work of the Sabbath, many are the petitions that ascend in their behalf, to Him who hath “the treasure ” to dispense, and of whom is “the excellency of the power.” In many instances, these prayer meetings have been protracted all night. So sensible were the people of the presence of the Lord that they could not forsake the place where they enjoyed it; and they found “the joy of the Lord” a sweet substitute for sleep. On Sabbath, the day of Communion, an immense crowd is gathered before the tent. At many as eight thousand are there. The “Beauty of the Lord” is on the assembly of His people; and before the service is over, many a soul has had reason to say “it is good to be here.” On Monday, the day of thanksgiving, a crowd almost as large as that on Sabbath is assembled ; and often has “the last” been found to be the “great day of the feast.” The closing service of the communion season is now over, and then comes the solemn parting! How affecting do the Lord’s servants and people feel the scene before them to be, as that multitude disperses, never to meet all together again till the vast congregation of “the last day” has assembled! What touching farewells are now exchanged between the Christians who enjoyed with each other, and together with the Lord, such sweet communion since they met a few days before! There are few tearless eyes, but the weeping is expressive of gratitude as surely as of sorrow. Such was a communion season in the good days of the Fathers in Ross-shire.